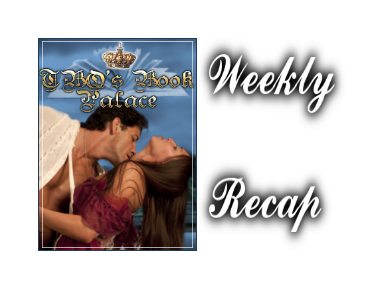 Every Sunday afternoon, I will post a "Weekly Recap" of everything that went up on the blog in the previous week. Reviews, guest posts giveaway, etc. This will provide quick access to anything you may have missed. I hope you enjoy! Here's a peek at what's coming up on the blog this week!